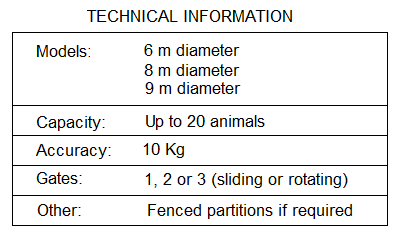 These scales are used to weigh large groups of animals (up to 20 animals, 12 Tons total capacity). 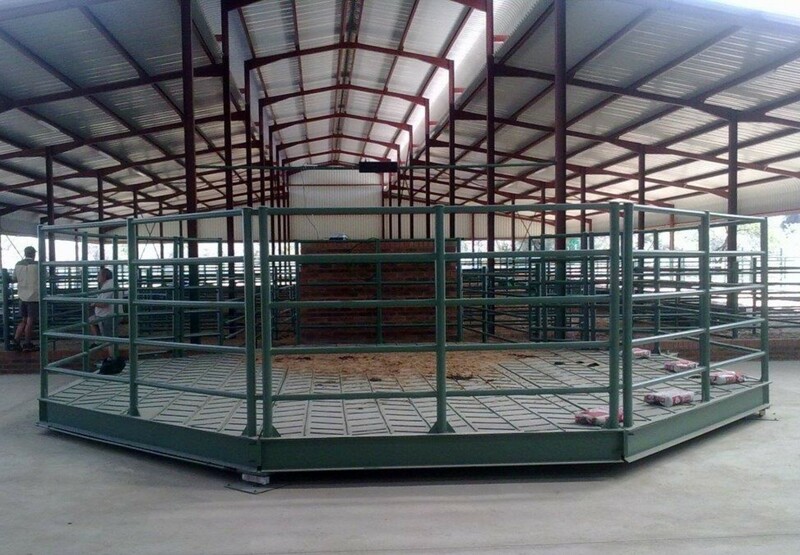 They consist of a round crate of 6m – 9m diameter, surrounded by a robust fence 1.8 m high with two sliding or rotating gates. 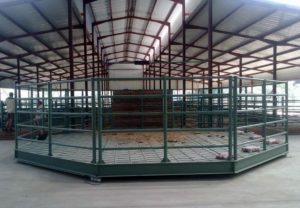 The crate is placed on three or four loadcells which lie on a concrete foundation. The extremely large display (letters 120 mm high) allows reading of the weight at more than 100m distance. 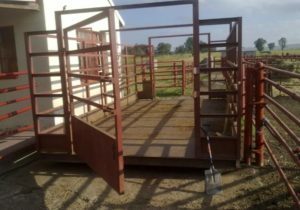 It is also possible to have a customized crate, where the client chooses the size, shape, capacity, height of fence, type of gates, etc. 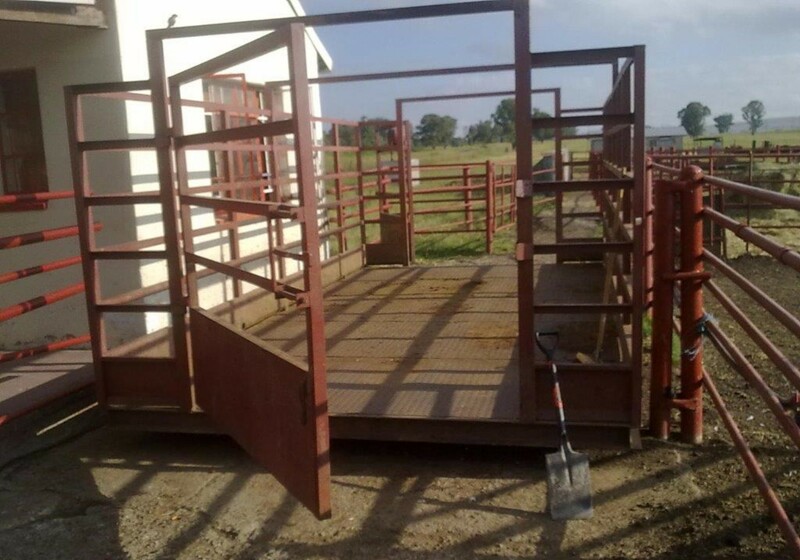 We also manufacture crates for smaller groups of cattle or livestock of smaller size (sheep, pigs).